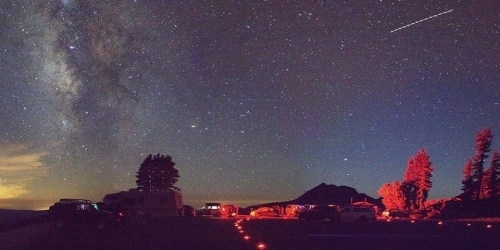 Join park rangers, astronomers, and astrobiologists in celebrating all that is out of this world during Lassen's Dark Sky Festival at Lassen Volcanic National Park. Special programs, presentations, hikes, and Junior Ranger Night Explorer activities will be offered during the festival. * Nightly constellation tours and stargazing. * Astronomy activities including solar scope viewing. * Junior Ranger Astronomy, and hands-on activities. * Discussions and demonstrations by National Park Dark Sky rangers, NASA, the International Dark Sky Association, and the Astronomical Society of Nevada.